During my time in Thailand I had to make a choice of which side of islands I went to; I was visiting during rainy season so spent much time researching if the ferries would be running and what I could expect during the rainy season. The rainy season on the gulf side was during a different time than the west; however I wouldn’t get great weather whatever happened. With this in mind and the fact a flight to Singapore was cheaper from Phuket than anywhere else, I made the very hard decision not to visit the three most famous islands of Thailand. Instead I headed for the west coast (the Andaman Coast) in search of some relaxation, to finally try a bucket and snap those picture perfect beaches. 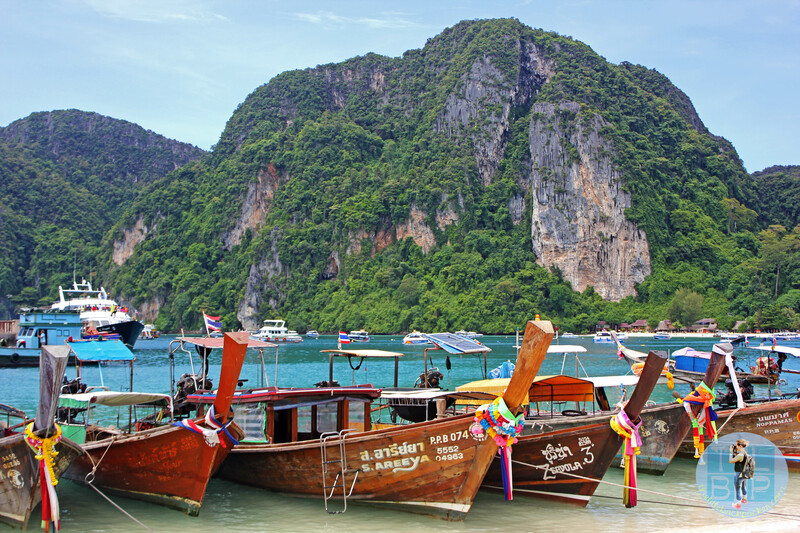 Along the Andaman Coast you can explore Ko Phi Phi, Ko Lanta, Phuket Town, Patong, Krabi Town, Ao Nang, Railay, Khao Lak and much, much more. I didn’t get to all of these as I only had 10 days – another reason I didn’t want to try and explore both sides of southern Thailand’s islands. Here is where I visited during my 10 days, where I stayed, what I ate and my general thoughts. I was prepared for the worst when I arrived in the Andaman Coast, I had read up online about how busy everywhere would be and how I wouldn’t be able to avoid the tourists. Doing my normal and ignoring all the negative crap I read online, I went head first in to the Andaman Coast with an open mind. The reality of rainy season: a lack of tourists, cheaper prices and an unexpected surprise of what these islands are really like. It even only rained for three out of the ten days. I had probably read the worst things about this island, saying it was too touristy and not worth a visit. Well I LOVED my time here and to me it was definitely worth a visit. It wasn’t the sort of place you go to find beaches with only you there, the harbour is full of boats which aren’t just longtails and there are so many choices of accommodation it’s silly. However because of this there is a great vibe around the island, plenty of people to socialise with if that’s your thing and so much choice of food and drink. There are plenty of walks and boat trips you can take to get away from the buzz of the main town but I found the beaches weren’t that crowded even in the main town area. My favourite thing to do on the island was hike up to the viewpoint and look at the amazing landscape and how the town is built on an isthmus. There are parties and fire shows on the beach, with plenty of naïve backpackers, but head further down the beach or over to the other side and you can escape the chaos. They have expensive private resorts away from the main town, mid-priced bungalows and backpacker rooms – there really is something for everyone here. We ate at: Street stalls – pancakes and baguettes and restaurants – both Asian and Western. I’ve already written about this place and how everyone told me it would be crowded and a complete let down. Yet what I witnessed was a beach with maybe 30-50 people maximum, only a handful of boats parked up in the bay and the most beautiful beach of the two islands. 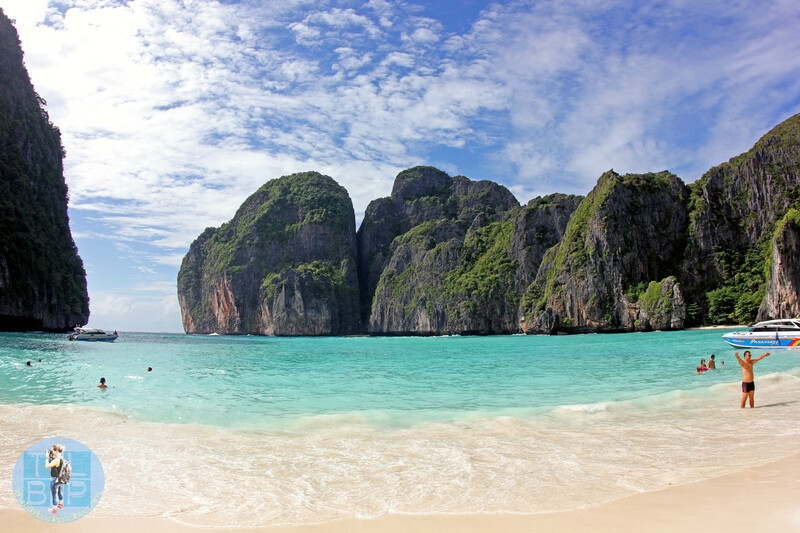 You cannot stay the night here, however you can take a trip over from Ko Phi Phi Don for 400B. Our choice of location for our time in Krabi was Ao Nang Beach, the area was a small town located along the beach front with limestone casts lining the landscape, lots of choice for places to eat and again all kinds of places to stay. We chose a typical backpacker guesthouse; however they had some lovely resorts in this area too. 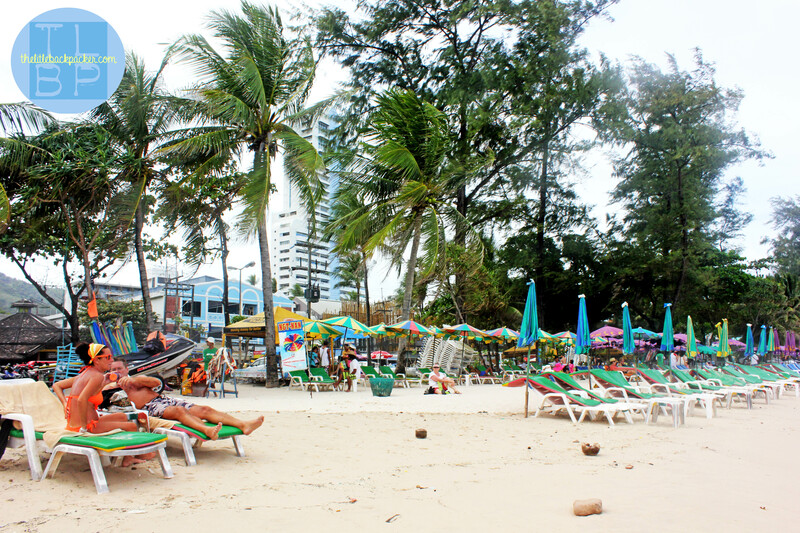 The beach here was average and then the one around the corner was the same; however there was more to this area than just Ao Nang beach. With plenty of islands to visit we struggled to get everything done in our three days here. There was plenty of choice for food: we ate at street stalls and buildings as well as restaurants which served a mixture of food. 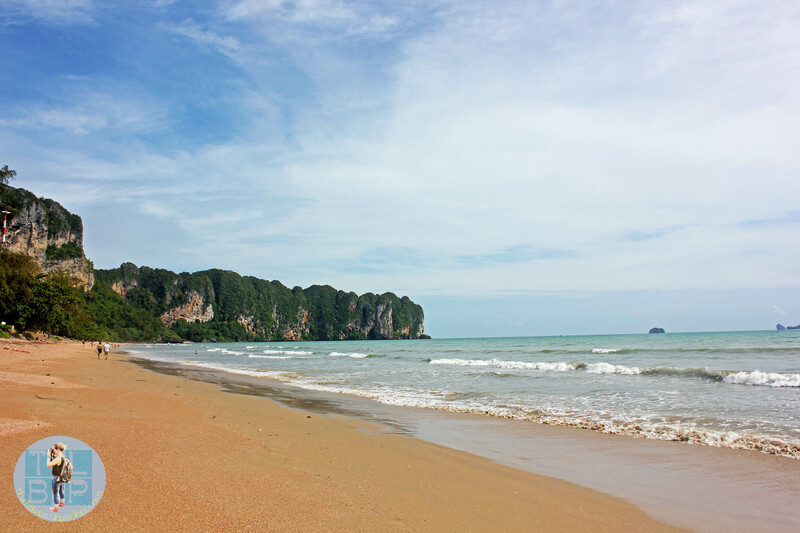 You can get here via a taxi from Krabi Town – which is accessible by taxi from the airport, minibus or ferry. We took a boat trip here for the day from Ao Nang, costing 200B for the return trip. I have already written about how dumbfounded I was when we arrived and we were not on the picturesque beach I knew was there. Luckily after a bit of walking we found that beach and had to tear ourselves away when it was time to head back to the main land. They have plenty of resorts here, however the price is not cheap. The landscape of this area is absolutely beautiful with the limestone casts jutting out from the sea and hills. Railay is only accessible by boat as the limestone casts make it impossible to drive to. It rained for the entire two days of being here, and when I say rained it absolutely poured down! This was not a good sign for what might be to come as the town was where we spent the first of our ten days in this area. The town was very quiet while we were there, there seemed to be very little backpackers around, no real centre to the town and a terrible choice for food and accommodation. I had been warned bad things about Phuket and although there was nothing really wrong with the town there was also nothing great about it. We ate at: Phuketique café – which did lovely breakfast and The Natural Restaurant, The Lotus and a pizza place. You can get here via bus, taxi from the airport or ferry. This is the one place that every negative review was right about. It was like being at an overly touristy destination in Europe (or similar) packed with Brits who holiday in the same place every year and all they want to do is drink too much and have everything handed to them on their hotel doorstep. There was no adventure, no activities and no beautiful beaches. Everywhere you walked someone would approach you to try and sell you something or take you on a taxi ride to all these ‘unmissable’ tourist attractions. It felt tacky, it was tacky and I wish never to return again. (I have never been so unsatisfied by a destination before). We ate at: Speakers and an Asian restaurant – neither were that great. You can get here via bus or taxi from the airport. 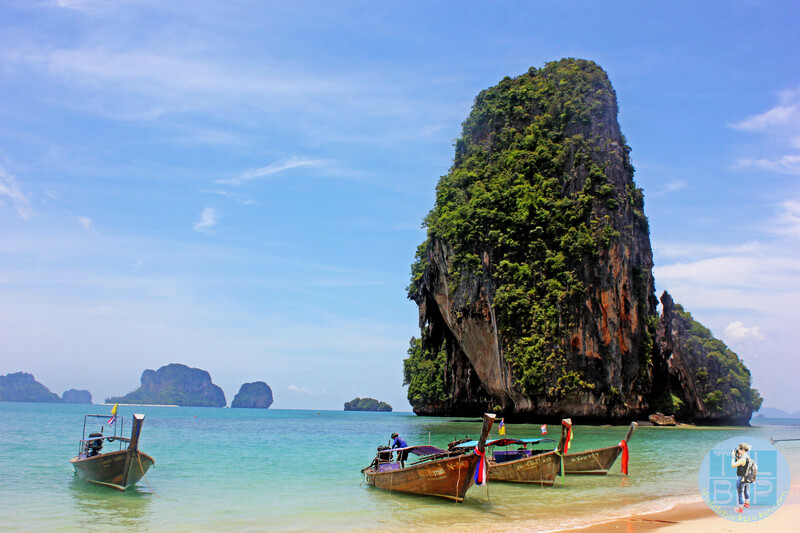 Overall I LOVED the Andaman Coast, however Phuket was a huge disappointment. Having visited the area now, my view on all of the negative reviews I read would be that those people have gotten too used to wanting to be ‘that’ backpacker that goes to ‘off the beaten track places’ where no one else is on the beach and you can be in your own hippie paradise for days. The Andaman Coast is beautiful and POPULAR and I feel that is why it has gotten all of these bad reviews. Sure, it used to be a quiet and tranquil place in the ‘80s but since then the world has realised how beautiful this area is and therefore it has had more and more visitors over time. I feel that just because it is popular and has a steady flow of visitors is no reason to hate on the area. I’d 100% recommend a visit here (just maybe not to Patong Beach). 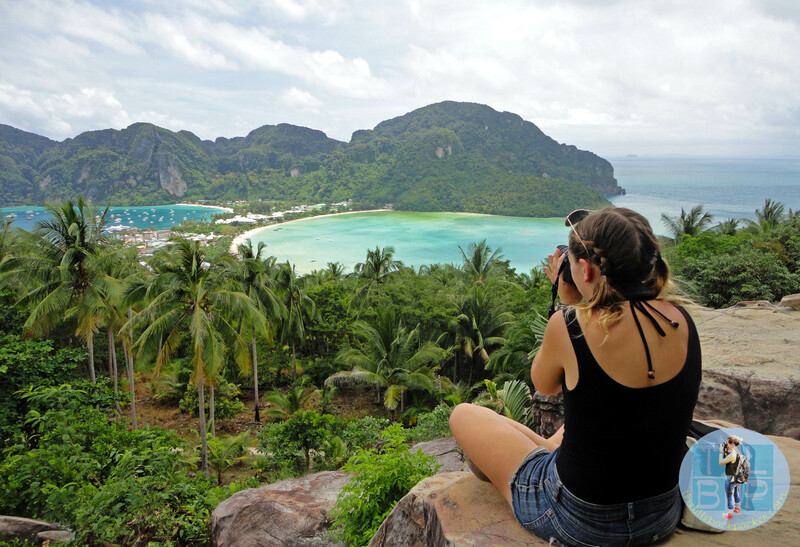 Great post, I’m not sure where I will go once I am in Thailand so its good to hear your thoughts! that’s a great advice. I’ll be staying in Thailand for a while and I still need to visit those islands. I will come back to your website for some good advice. Thanks!